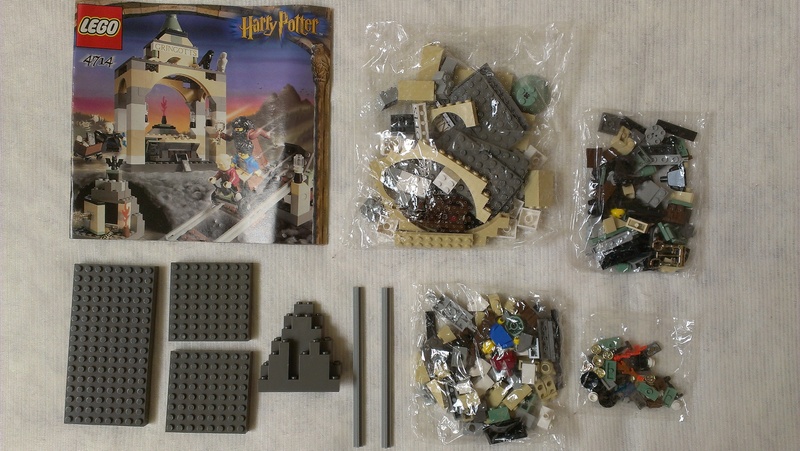 I have a Harry Potter 4714 Gringotts Bank that has no box, but pieces that were sealed in bags are still sealed and all the parts that weren't sealed are in pristine condition. Instruction manual is also there. It was as if someone opened the set and transferred the contents into a ziplock bag and forgot about it. My questions are: How much is this set worth? Are all the pieces present (see pics)? I ask because I know how much sealed sets are and I know how much used sets are, but what would this set fall into? I'm going to list it on Ebay and I need to know what price to list it at. 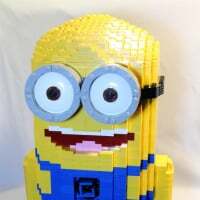 Here are the Bricklink statistics for the set: http://www.bricklink.com/catalogPG.asp?S=4714-1. Yes, I understand, but it doesn't tell me exactly what was sold and in what condition. New and used can have plenty of variations each. Also, I need to know if there were 3 sealed bags that came with the set. I asked this question in the How Many Bags thread, but no answer. Have you tried checking Ebay? It might give you an idea of what they are selling for?! It appears the problem is you're looking for statistics for sales for "new without box" which don't exist. It is new without box so you can probably expect to get new value with someone that doesnt care about the box or a little less. Also its a < 300 part set that no one may have the bag count for so it would only take a few minutes to just count the pieces in the bags to get a rough Idea if the correct number of pieces are there since if there was an extra bag or a missing bag the count would be off by probably at least 20. Could even compare the contents against the parts list on BL to get an idea if the parts are even the correct ones. Ok, new in box, but without box...lol. I did check Ebay and they had sealed sets going for $250 and used sets for around $65. Surely there is a premium for parts still sealed in the bags. Especially the minifigures. Or am I wrong? I guess I am just making a mountain out of a mole hill. I'm just wondering for future sets found in this condition as well. 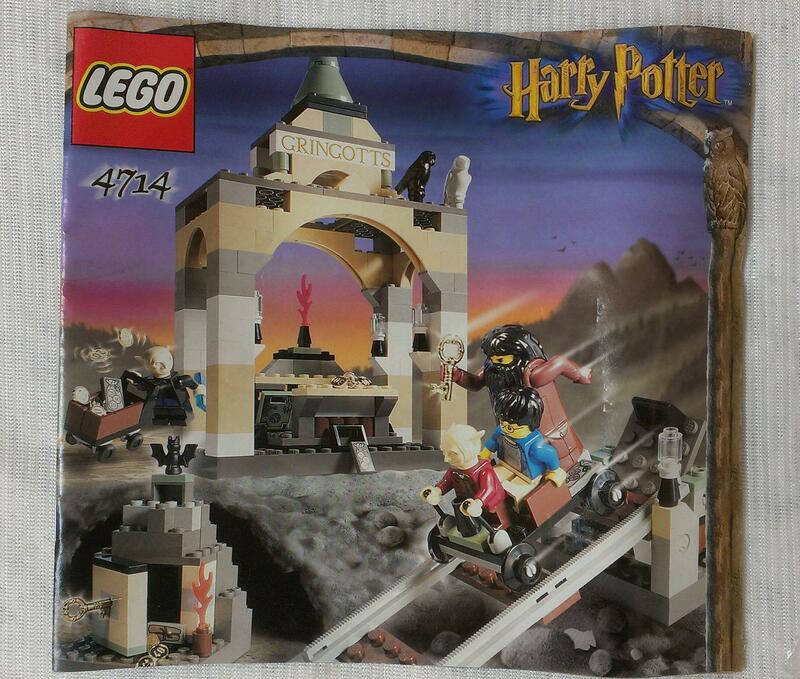 I have a number of #7144 sets in the same condition as your #4714 @pitfall69. I bought them cheaply some years ago, deboxed them to save space (?) and forgot about them. Unfortunately, I have been unable to shift them for over a year. The few I have sold have gone for about the top price of used sets. It seems that there is little demand for an old set without box, but would be a shame to part them out in my BL store. I also have a #6930 in the same state (just have the inner tray), but I didn't bin the box! I'll try selling it without the box and see what happens. I'm not sure if you already know, but the are three boxes on bricklink for $13.25 apiece. The only question then is if it effects the value enough.